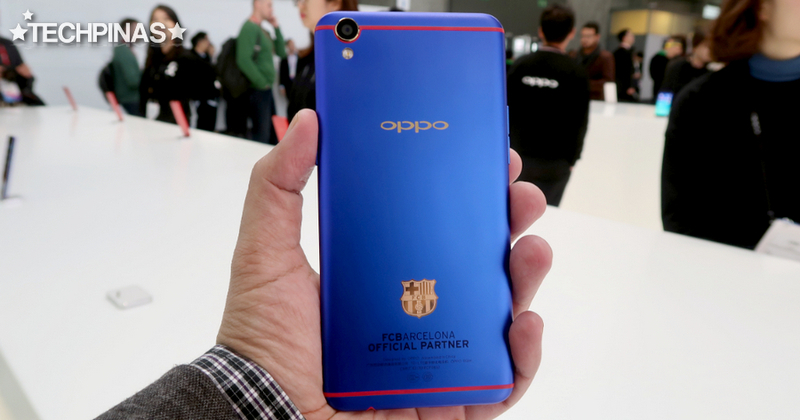 OPPO R9s Blue FC Barcelona Limited Edition Looks Great : Should OPPO Bring It to PH? At this point, I think everyone who's been following this blog for quite some time should already know that I love the color Blue (among other things, of course). There's something about Blue that I find magnetic. For me, it's soothing, royal, and mysterious all at the same time. And as someone who loves gadgets, I really wonder why we don't have all that many devices out there that come in this interesting hue. 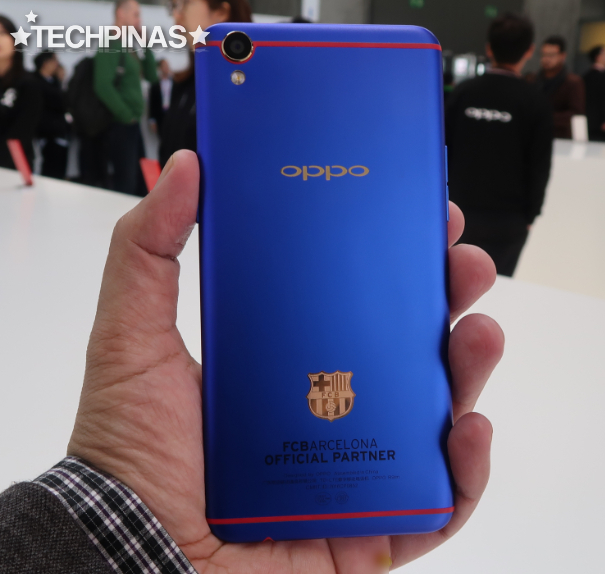 So you can imagine the excitement I felt when I saw the OPPO R9s FC Barcelona Limited Edition Blue smartphone at the OPPO Station in MWC 2017 last February 28 in Spain. I'm not that big of a Barca fan but this phone's color along with its great technical specificiations and imaging capabilities were enough to capture my fancy instantly. 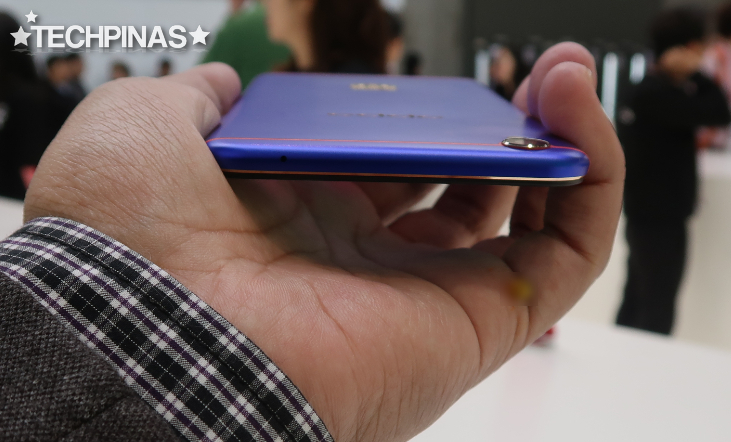 Not to mention, it's only 6.6 millimeters thin -- making it one of the slimmest Android handsets ever made. It's really a stunner. 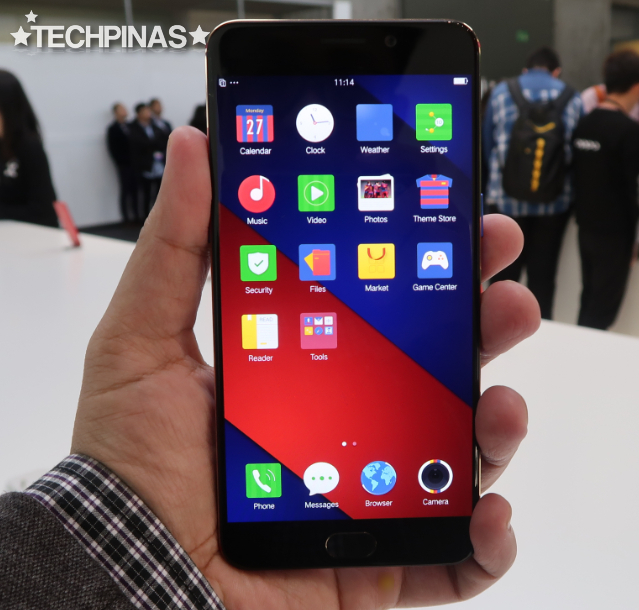 As for its specs and features, well, they're exactly the same as that the Red OPPO R9s Chinese New Year version that I showed you last January, which tells you that it's quite a powerhouse. 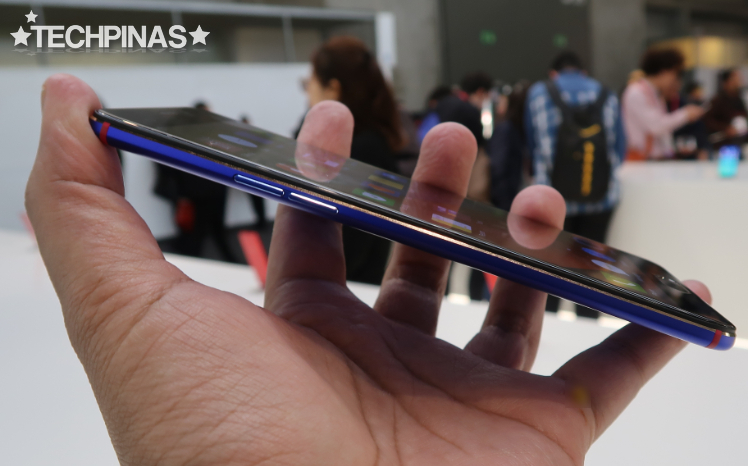 This high-end smartphone sports a 5.5-inch Full HD AMOLED display protected by 2.5D Curved Corning Gorilla Glass 5 panel, which perfectly complements the sleek aluminum back plate with rounded corners and edges. 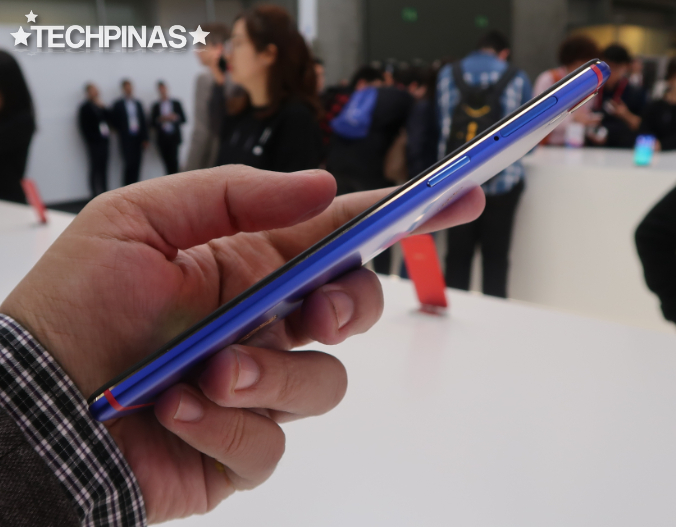 Inside, OPPO R9s FC Barcelona Limited Edition runs its ColorOS-flavored Android 6.0 Marshmallow operating system with a 64-Bit Octa Core 2.0 GHz Qualcomm Snapdragon 625 processor that incorporated Adreno 506 graphics, has 4GB of RAM for extra smooth multitasking, and comes with 64GB of internal storage that can be expanded easily using the secondary hybrid nanoSIM slot that supports microSD card memory expansion. Aside from its aesthetics and internal hardware, the highlight of this model would have to be its 16 MegaPixel phase detection autofocus rear camera with f/1.7 aperture, , 1/2.8" sensor size, and 1.12µm pixel size that work together to make this one of the better cameraphones out there in terms of low light performance. The main shooter is complemented by the 16 MegaPixel f/2.0 selfie cam in front that works with the phone's advanced Beautification software to deliver great-looking self-portraits to reinforce OPPO’s Selfie Expert moniker. 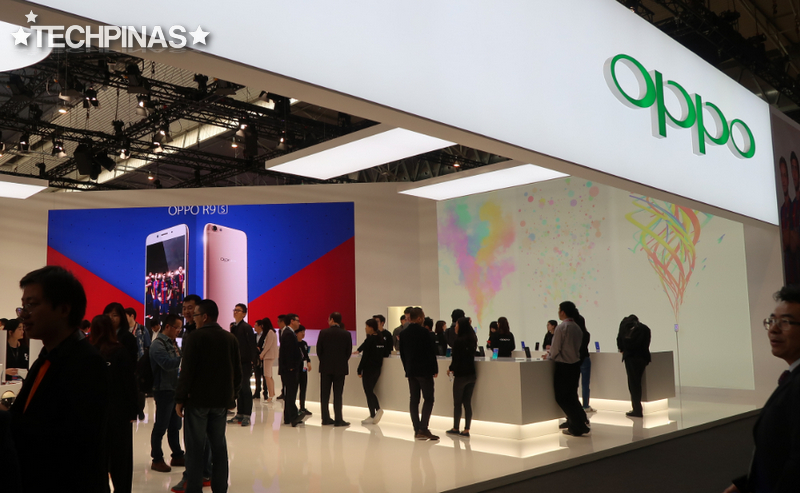 At MWC 2017, I asked our friends from OPPO if they plan to bring this stellar model to the Philippines and they told me that they don't have plans to do that just yet. I believe it's because they intend to release more affordable handsets in this market since that's the category they currently dominate. If you ask me, though, I think they should give Pinoys a chance to experience OPPO R9s and its Limited Edition versions; I'm sure many mobile consumers here would love to own these svelte devices even if their price tags aren't particularly all that cheap.